"We recognize we are recommending substantial change," said health economist and former Medicare Administrator Gail Wilensky, co-chairwoman of the nonpartisan Institute of Medicine panel that produced the report. "We think it's key to justifying the continued use of public funds." "The scale of government support for this phase of physician education is unlike that given to any other profession in the nation," said the report, which was funded by a dozen foundations with the support of a bipartisan group of members of Congress. 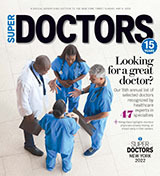 Not only that, the authors note, "a variety of surveys indicate that recently trained physicians in some specialties cannot perform simple procedures often required in office-based practice and lack sufficient training and experience in care coordination, team-based care, and quality improvement." The Association of American Medical Colleges was sharply critical of the report. Its recommendations would "threaten the world's best training programs for health professionals and jeopardize patients, particularly those who are the most medically vulnerable," said AAMC President Darrell G. Kirch, whose group represents the nation's top teaching hospitals. "By proposing as much as a 35 percent reduction in payments to teaching hospitals, the IOM's recommendations will slash funding for vital care and services available almost exclusively at teaching hospitals, including Level 1 trauma centers, pediatric intensive care units, burn centers, and access to clinical trials," Kirch said. "In addition to hurting patient care, these cuts will limit critical training settings for future physicians, nurses, and other health professionals." The committee proposes a sweeping overhaul of the entire financing program for graduate medical education, with the goal of shifting the program "to a performance-based system," rather than one that merely funnels money to any facility with an accredited training program. The panel calls for spending the same overall funding from Medicare over the decade, adjusted for inflation. But it would be distributed much differently, with a declining share providing direct subsidies to teaching programs. An increasing share would go instead to a "GME transformation fund" that would finance new ways to provide and pay for training and fund training positions "in priority disciplines and geographic areas." The funds would still be distributed through the Medicare program, but a new "GME Policy Council" would be created under the office of the Secretary of Health and Human Services to oversee workforce issues and commission research on how well the federal dollars are being spent. The committee recommended that states impose similar requirements for Medicaid training funds. Among those that would be most immediately affected are major teaching hospitals in the Northeast, which currently account for a disproportionate amount of Medicare medical education funding and number of doctors-in-training. The panel called for an end to the current system of payments that favor those hospitals, and instead for Medicare to make a flat "per resident" payment to training sponsors based on the national per-resident amount, adjusted for geography. It's time to close the open checkbook for teaching hospitals, the panel said. "The statutes governing Medicare's GME financing were developed at a time when hospitals were the central - if not exclusive - site for physician training," the report said. But by doing that, "the Medicare payment system discourages physician training outside the hospital, in clinical settings where most health care is delivered." The rapid evolution of the health care sector, said Wilensky, "was an important rationale for potentially using the leverage provided by government funding to try to train the health care workforce we needed for a 21st century delivery system." "Increasing the number of physicians per se is not likely to solve important workforce issues," Wilensky said, "particularly with regard to specialty distribution or geography."